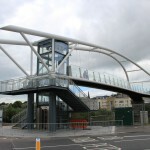 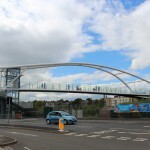 As part of the masterplan to develop the Riverside and Seabraes areas of Dundee the new footbridge provides direct access across the main East Coast railway line cutting out a detour of 1.5km. 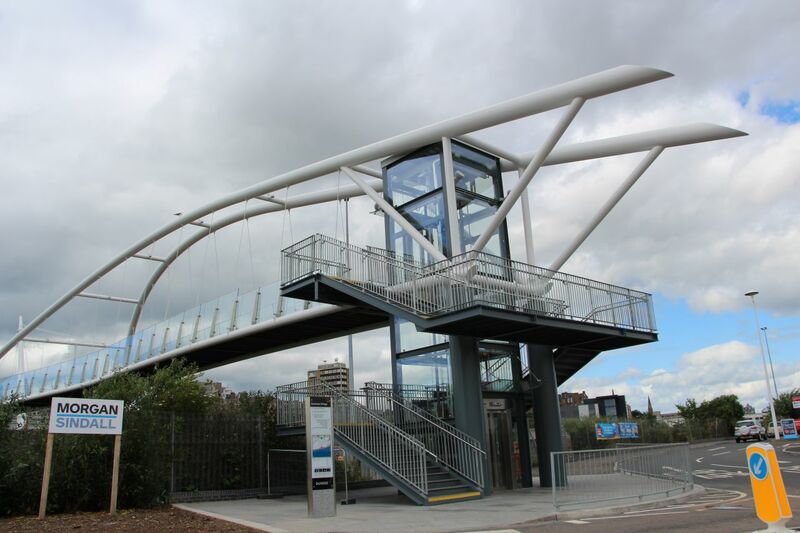 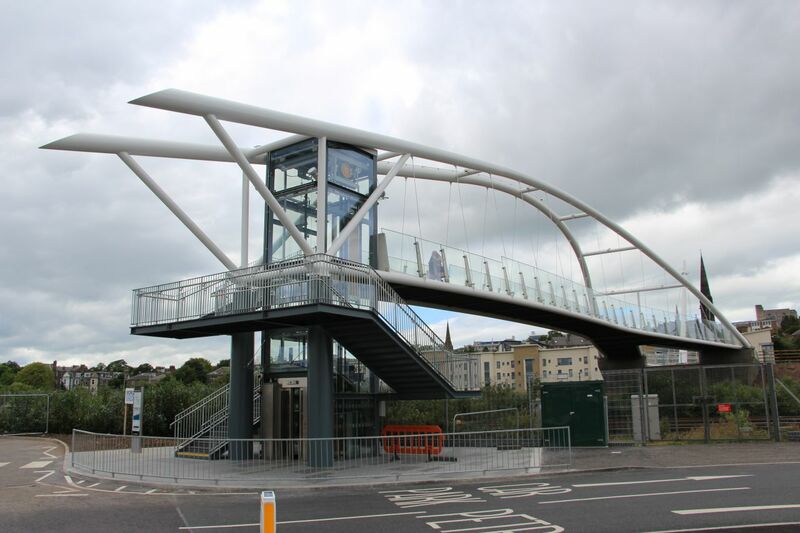 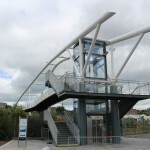 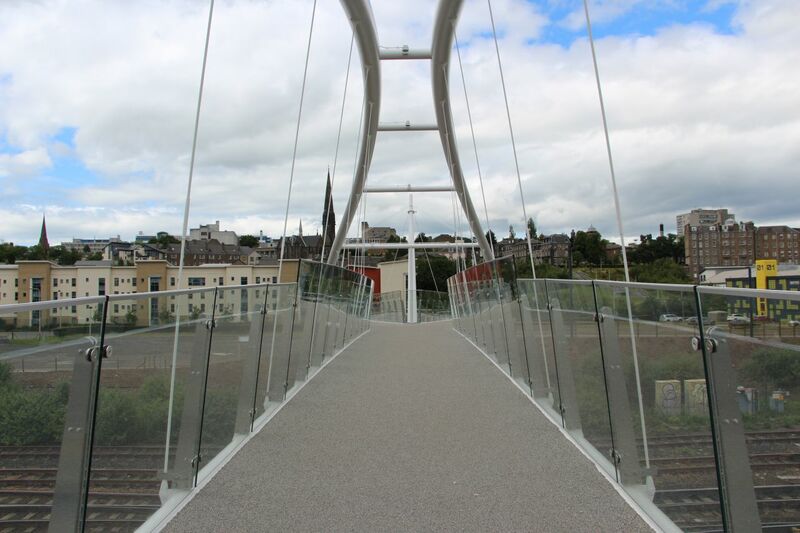 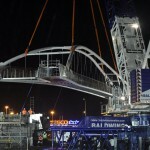 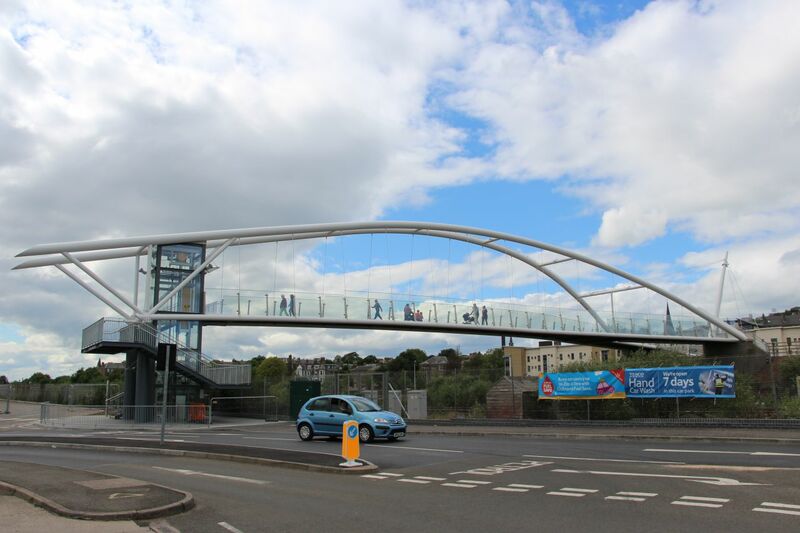 Footbridges are frequently challenging for various reasons and the Seabraes scheme was no exception. 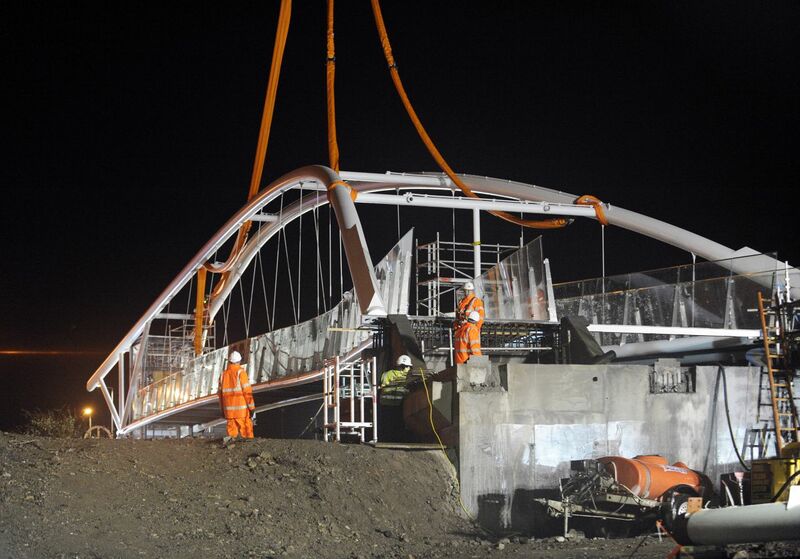 The requirement to install the new structure during a limited night time rail closure requires meticulous planning and coordination. 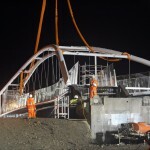 Our contracts team worked closely with principal contractor Morgan Sindall and Network Rail to ensure everything would run smoothly on the night of the installation. 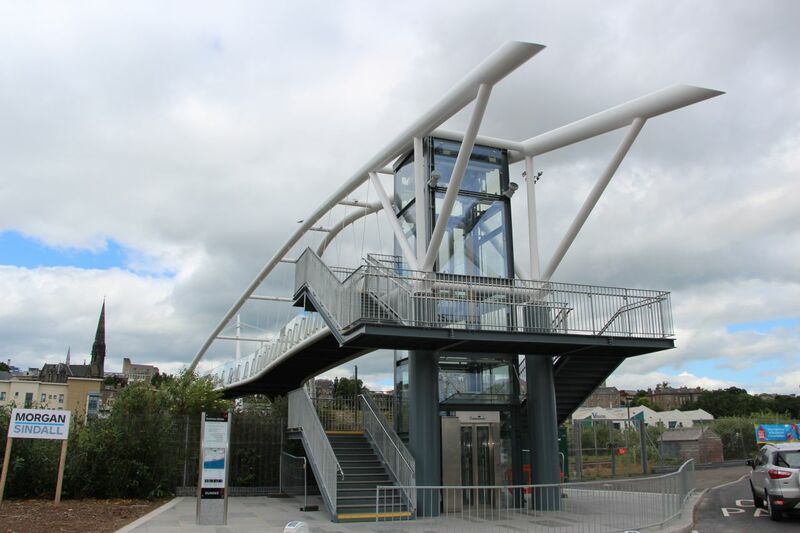 The arched steel structure was assembled alongside the railway line and to eliminate the need for work over the live railway as much of the finishes were added before the final lift. 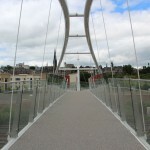 This included the application of the anti-slip surface and the glazed balustrade system. 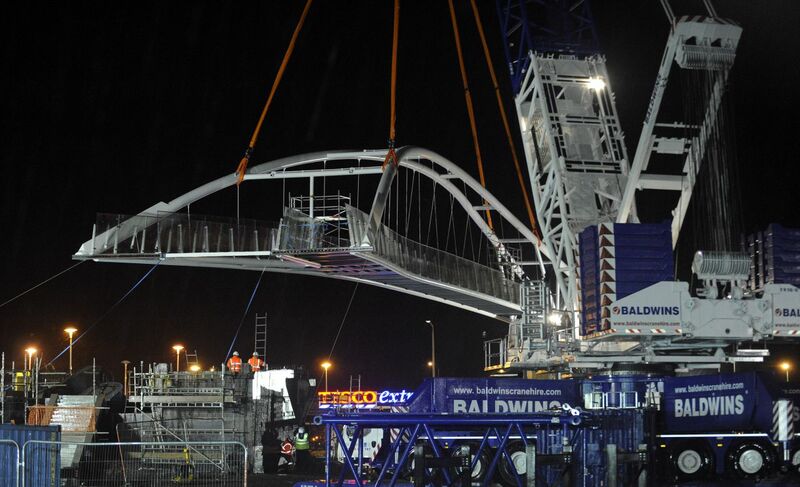 Installed on a very wet and windy night in April the careful planning and preparation paid off with a very successful lifting operation. 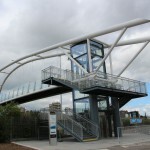 The completed structure features a large diameter tubular arch which over sails the glazed lift tower and stairs on the south embankment and mast supported curved cantilever ramp on the north embankment.